How long does it take to get back to normal? How fast does my vision improve after the procedure? Who is not a candidate for SuperSight Surgery? Can you guarantee I will get rid of my glasses or Contact lenses? 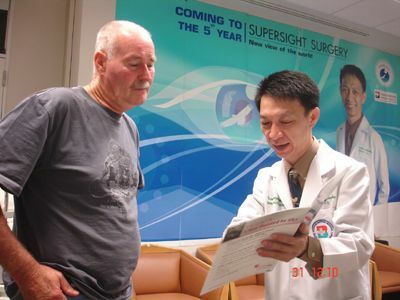 Will SuperSight Surgery prevent me from getting other eye diseases? What should I know about night vision? How does new multifocal IOL affect intermediate vision? Should I have both eyes done at once? What keeps me from blinking during the procedure? Is it possible to correct presbyopia using lasers as “LASIK”?